Packing for an African safari is somewhat different to most other trips you'll take. Navigating rural roads in an open-top jeep means that you'll get covered in dust, so you'll need clothes that hide dirt well. Because temperatures can change dramatically throughout the day, layers are essential (after all, pre-dawn game drives are often chilly even in the height of summer). If your itinerary includes flights in a bush plane between different parks or camps, you'll need to pack extra light to comply with charter flight baggage restrictions. In this article, we provide a comprehensive packing list that should cover most 7-10 day safaris (while still leaving room in your suitcase for a few curios). 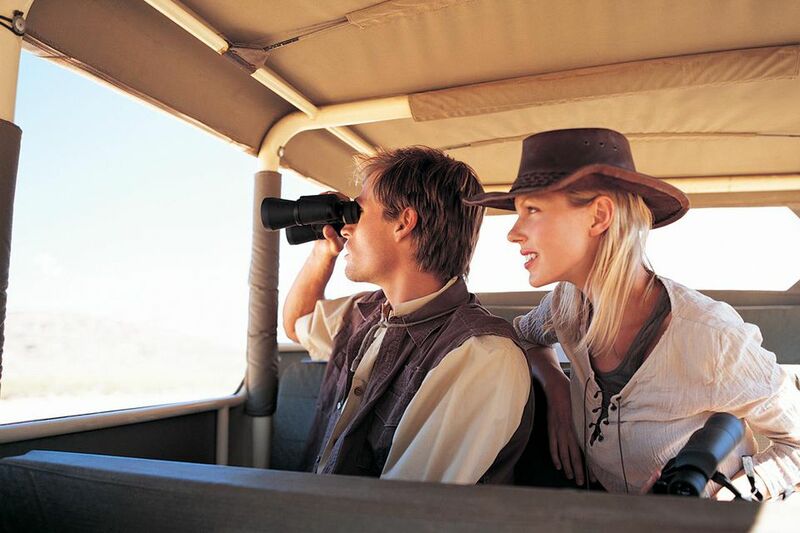 Safaris are generally casual affairs, so you can leave your evening-wear at home. The best clothes are loose-fitting and lightweight, so that they keep you cool and dry quickly if you get caught in a rain shower. Make sure to bring at least one good fleece or jacket for warding off the chill on early morning game drives. At night, there will usually be a campfire to keep you warm, but you'll want to wear long sleeves and trousers to protect yourself from mosquitoes. This is particularly important in malarial areas. When it comes to colors, pick neutral tones over brighter shades for optimum camouflage in the bush. Khaki is a safari favorite for a reason: it's cool, camouflaged and hides dirt well. If you're in tsetse fly country, avoid wearing blue – it's an attractant for the disease-carrying insects. Top Tip: Ladies, on the bumpy roads of Africa, a decent sports bra is your best friend. Every camp or lodge will have at least a basic first aid kit, and most safari vehicles will too (especially those operated by higher-end camps). However, it's always a good idea to bring your own small supply of hygiene and health essentials. Many safari camps and lodges now support local community initiatives in and around the wildlife parks, reserves and concession areas. If you want to make a positive difference during your time away, ask if you can bring any supplies that will help these projects (usually school supplies, medication or clothing). Check out Pack For a Purpose for lists of specific requests from lodges around Africa as well as suggestions on how best to pack the items they need. Before you start packing, make sure to research your options carefully. If there are two parts to your trip, you may be able to pack a separate duffel or backpack for the safari section and leave your main suitcase with your tour operator or hotel back at base. This keeps things light for your bush flight to Ngorongoro Crater, for example, while still allowing you to pack your scuba gear for your second week on the beach in Zanzibar. You should also try to find out ahead of time whether your safari camp or lodge offers a laundry service. If not, you can recycle clothes by packing a small bottle of travel detergent and a length of thin nylon rope to serve as a makeshift laundry line. When choosing your suitcase, a soft-sided duffel is almost always a better bet than a rigid hardshell case. Duffels are easier to fit into narrow overhead compartments or into the back of a safari vehicle – and they're more likely to withstand the wear and tear of life in the bush. Because poverty and corruption lead to theft at many third world airports, we recommend plastic wrapping your bags before your flights and investing in a decent luggage lock. Always pack your valuables (and especially your camera with all your precious memories) in your hand luggage. This article was updated by Jessica Macdonald on March 20 2019.